A number of exciting projects have been completed through Bridges Center research programs. Each report includes information directly relevant to policymakers, employers, unions, and others. Reports are organized broadly by topic, then alphabetically by author. To read or print reports, click on the titles below. Daniel Jacoby and Keith Nitta, Interdisciplinary Arts & Sciences, UW Bothell. The Bellevue Teachers Strike and its Implications for the Future of Post-Industrial Reform Unionism. Washington State Research Grant, 2007-2008. In September 2008, Washington State's Bellevue Teacher Association went on strike over issues of pay, benefits, and classroom curriculum. In this paper, Dan Jacoby and Keith Nitta recount the strike and look closely at what it says about the hot-button issues of trust, teacher professionalism and union participation in school governance. In particular, they ask whether the union’s decision to marry economic demands with concerns over curriculum represents a shift from the traditional model of post-industrial reform unionism. Margaret Plecki, Ana Elfers, and Michael Knapp, Educational Leadership and Policy Studies, College of Education. An Examination of Longitudinal Attrition, Retention and Mobility Rates of Beginning Teachers in Washington State. Washington State Research Grant, 2005-2006. At what rates do new teachers change schools or districts, or quit teaching altogether? And what are the factors influencing their decisions? By examining the attrition, retention, and mobility patterns of beginning teachers in Washington State over a five year period, this study seeks to improve knowledge about the beginning teacher workforce in order to improve educational policies. Margaret Plecki and Matthew Finster, Educational Leadership and Policy Studies, College of Education. Examining the Impact and Equity of Teacher Layoff Notices in Washington State. Funded by Washington State Research Grant, 2010-2011. With K-12 school districts currently faced with budget crises in Washington State, this report examines the impact of teacher layoffs in Washington State. Who is laid off? Where do they teach? And how do layoffs affect teachers' working conditions? The report's answers to these questions and others provide specific information and analysis relevant to teachers and education policymakers in Washington State. Allyson O'Connor, Environmental and Occupational Health Sciences, Recognizing Hazardous Working Conditions in Nonstandard Employment Arrangements. Washington State Research Grant, 2016-2017. Health and safety in the workplace are issues the labor movement has fought to maintain for decades. With the organization of workplaces constantly evolving and shifting away from standard employment relationships (SERs), however, there are new challenges to health and safety emerging in the workplace that require more definition. Allyson O'Connor is a PhD student in Health Services who is tackling some of these issues in her research. In her report, she breaks down employer-employee relationships in both a standard and nonstandard setting and illustrates the complex and nuanced difficulties of working under nonstandard employment arrangements. Amy Hagopian and Jenn Hagedorn, School of Public Health. The Role of Labor Unions in Creating Working Conditions that Promote Health. Washington State Research Grant, 2014-2015. Union contracts are beneficial for both workers and public health, because negotiated contracts improve important public health factors such as working conditions, safety measures, wages and benefits. Union efforts also, although indirectly, raise standards of employment for workers in non-union jobs. Meanwhile, new policies such as the Affordable Care Act, along with Seattle’s paid sick leave and the new minimum wage ordinance, have created a political environment where social issues are on the community’s consciousness but may also pose a threat to union organizing as the gains have occurred outside traditional union frameworks. The primary goal of this project is to provide evidence to support a new role for the King County Department of Public Health, which has shied away from taking stands during discussions of broad public policy or during specific union contract negotiations. The research will identify the specific aspects of union contracts that contribute to public health, offering an evidence base for the Department to contribute to conversations about working conditions during policy debates and labor disputes. Noah Seixas, Environmental and Occupational Health Sciences, and Janice Camp, Environmental Health. Day Laborers at Risk: Developing Strategies for a Hazardous Workplace. Washington State Research Grant, 2006-2007. Working in hazardous industries with few legal protections, day laborers have unique health and safety concerns. Seixas and Camp discuss the development of safety trainings for day laborers in Seattle, Washington through surveys and focus groups. Rebecca Szper, Political Science. Business Opposition to Nationalized Healthcare. Washington State Research Grant, 2009-2010. As national debates over healthcare reform in 2010 made clear, the United States health care system has been in crisis for decades. Historically, the business community has opposed nationalized health care, setting the stage for the current system of employer-provided coverage. In this paper, Rebecca Szper reviews scholars' various explanations for business' position and develops a comprehensive analysis of her own. Rebecca Szper, Political Science. Impact of Washington State Labor Council Lobbying on Health Care Legislation in Washington State. Funded by Washington State Research Grant, 2009-2010. Without a national government health care plan, individual states have adopted local fixes. Washington State is one of several that have taken steps towards comprehensive health care reform. What has labor's role been in shaping health care reform in Washington State? In this report, Rebecca Szper examines Washington State Labor Council lobbying efforts from 2000 to 2010 to evaluate the impact organized labor has had on state-level health care policy. Jon Agnone and Devin Kelly, Department of Sociology. ILWU Contract Negotiations: The Confluence of Politics, Economics and Labor. Funded by Washington State Labor Research Grant, 2008-2009. Given that two of the busiest ports on the West Coast are located in Tacoma and Seattle, the structural position and political strength of the International Longshore and Warehouse Union (ILWU) has vast implications for Washington State, their contract negotiations in particular. Agnone and Kelly's study examines the ILWU's important role in state and federal-level economy and politics, focusing on how the union uses a privileged economic position to respond to and influence government action. April B. Brinkman, Urban Studies Program, University of Washington, Tacoma. Freedom of Expression of Farm Workers in Washington State. Funded by Washington State Research Grant, 2005-2006. Undocumented workers and farm workers in particular face many challenges to exercising their full legal and political rights to free expression. April Brinkman illustrates how restrictive living and working conditions in Washington State prevent farm workers from exercising their rights, and looks at examples of how these workers have successfully spoken out, against all odds. Brendan Sweeney, Department of Geography. Economic Restructuring, Policy Change, and the Impacts on Labor in the Forest Products Industry: Implications for Washington State through a Cascadian Lens. Funded by Washington State Research Grant, 2007-2008. Since the 1980s, the forest products industries in the Pacific Northwest and British Columbia have changed considerably. Drawing on interviews with union executives and workers, Brendan Sweeney examines the current state of the region's forest industries from labor's perspective. What is labor's current position in the industry, and what opportunities exist for labor's renewal? Diana Pearce, Center for Women's Welfare, School of Social Work. Overlooked and Undercounted: Wages, Work, and Poverty in Washington State. Washington State Research Grant, 2006-2007. Outdated and highly criticized, the Federal Poverty Level underestimates poverty, leaving a large and diverse group of families overlooked and undercounted. By applying a more realistic and specific reading of economic well-being, Pearce's report reveals the "overlooked and undercounted" of Washington State, describing the extent and nature of the hidden hardships all too many Washingtonians are facing. Derik Andreoli, Department of Geography; Anne Goodchild, Department of Civil and Environmental Engineering; and Kate Vitasek, Supply Chain Visions. The Rise of Mega Distribution Centers and the Impact on Logistical Uncertainty. Washington State Research Grant, 2007-2008. Warehousing employment in the U.S. grew considerably between 1998 and 2005, and witnessed the emergence of mega distribution centers - warehouses greater than 500,000 square feet that employ more than 100 workers and use new information technologies. In this study, the authors analyze the economic and geographic forces that have enabled such growth in the industry. Ming Fan, Debabrata Dey, and Gang Peng, Department of Information Systems & Operations Management, Business School. How Do Computers and Internet Affect Employee Compensation? Funded by Washington State Research Grant, 2005-2006. Information technology, particularly computers and the Internet, has affected workers significantly in the past two decades. Fan, Dey and Peng's study explores the effects of information technology on factors including individual work practices, productivity, and wages. Comparing Washington State and national averages, the authors' identify important technology-related policy implications for the State. 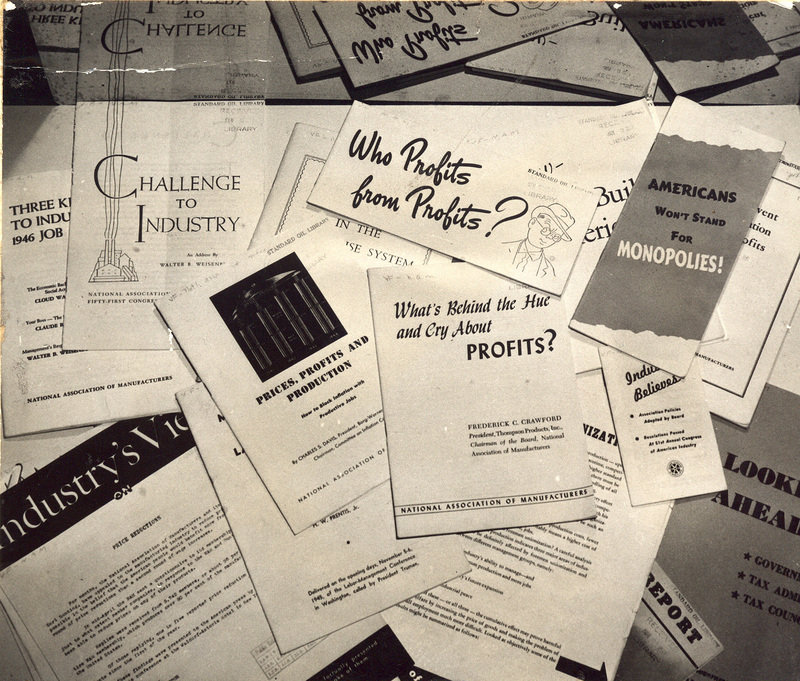 Since 1992, the Bridges Center has promoted quality scholarship on labor issues among University of Washington students through an annual cash prize to the authors of the best student papers written on a labor topic during the academic year. As an achievement on a student's resume, the award opens up job and educational opportunities, and papers often go on to be published in academic journals. Many of these award-winning papers are made available below. Click on a title to read or print. Beginning in 2018, the award is made possible by a generous endowment established by the Pacific Northwest Labor History Association (PNLHA) in honor of the organization's 50th anniversary. For more information about the prize, or to submit a paper for consideration, visit the Bridges Center's Labor Studies Scholarships and Prizes page. Juan Ortiz. The Longshoremen during the Seattle General Strike. PNLHA Best Paper in Labor Studies Prize (Undergraduate), 2017-2018. In his research paper, Juan details the intricacies of the contexts and events preceding, during and after the Seattle General Strike, and the decision of Seattle’s Longshoremen Union to join the strike. His paper illustrates not only the complex economic and social changes following WWI, but the building of solidarity among workers to support labor and human rights. Kate Wooley. Women’s Card and Label League: Declaring Dignity During the General Strike Era​. PNLHA Best Paper in Labor Studies Prize (Undergraduate), 2017-2018. Kate’s paper on the Seattle General Strike focuses on the less-told story of women and the impact they had during this historical event. Her paper centers on the Women’s Card and Label League, an organization comprised of women and often the wives of leading men in the labor movement, who showed their support and solidarity for the men in the labor force by advocating for union labeled goods. Kate’s research shows how much of a pivotal role women played in the movement, particularly as their purchasing power allowed them to manipulate businesses into negotiations with their workers. Report: Allyson O'Connor, "Hazards within Nonstandard Employment Arrangements"
In a new report, Bridges Center Faculty Associate Amy Hagopian (Associate Professor, UW Global Health) assesses the impacts of the recent United States Supreme Court Janus v. AFSCME decision on public health.